A builder’s risk insurance policy offers coverage against damage or loss of a building while it is under construction, renovation, or repair. 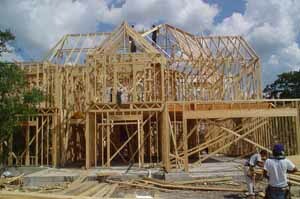 Builder’s risk insurance coverage generally includes fire, theft, wind, lightning, vandalism and malicious mischief. The policy may also include coverage for items in transit to the construction site (limited up to a certain percentage of value) and items stored at the site. Coverage can include loss of revenue due to a delay in completion. The insurance is normally written for a specified amount on the building and does not cover losses that occur before construction begins or after it is completed – coverage only exists during the course of construction.As an independent agency not aligned with any one insurance company, Atlantic Agency has access to a select group of financially sound, reputable insurance companies that will offer the best and most complete package for your specific requirements. We will also work to make sure that your builder’s risk coverage matches well with any existing general liability insurance policy you have to make sure there are no gaps in coverage that your business may fall into.